Transform your skin with the Holy Moly Snail Sheet Mask from Korean skincare brand, COSRX, a premium, natural face mask infused with Red Ginseng Water and innovative ingredient, Snail Mucin. 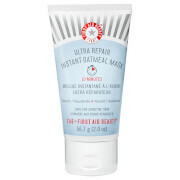 Working to restore moisture and elasticity, the saturated mask delivers a calming and relieving effect, hydrating and softening to reveal a healthy, younger-looking complexion. Its dose of Snail Secretion (rich in Proteins and Glycolic Acid) helps to diminish fine lines and scarring, whilst Red Ginseng Water and Camellia Oil relieve and deeply moisturise. 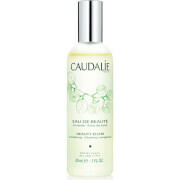 After use, skin looks youthfully plump and hydrated with a more even tone. 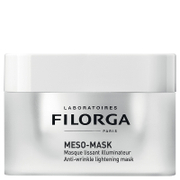 Apply mask on cleansed and toned face. Relax for 15 to 20 minutes, then remove. Gently pat remaining essence for better absorption. Red Ginseng Water, Snail Secretion Filtrate, Methylpropanediol, Butylene Glycol, Glycerin, 1,2-Hexanediol, Allantoin, Hydroxyethyl Acrylate/Sodium Acryloyldimethyl Taurate Copolymer, Sodium Polyacrylate, Sodium Hyaluronate, Carbomer, Arginine, Ethylhexylglycerin, Phenoxyethanol.